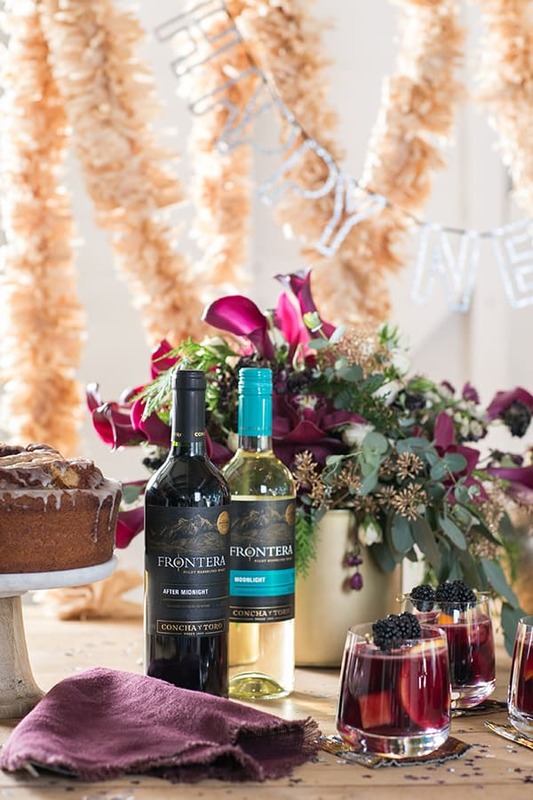 Since New Years Eve is all about partying until midnight and beyond, we set up an after midnight sangria bar with Frontera’s After Dark wines! The grapes are harvested after midnight, when the air is cool and crisp, to preserve the bold flavors, making it perfect to enjoy for a late night event! 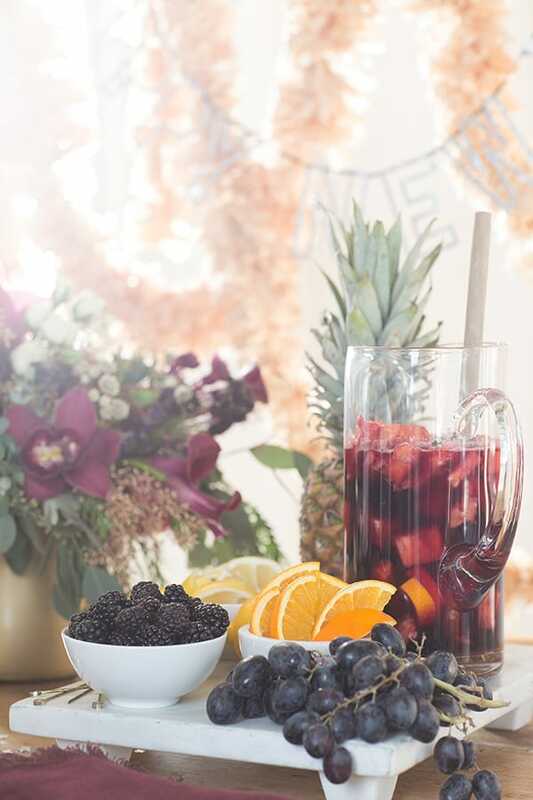 For the sangria bar, we made a Frontera After Midnight sangria recipe with pineapple, orange, ginger ale and berries. 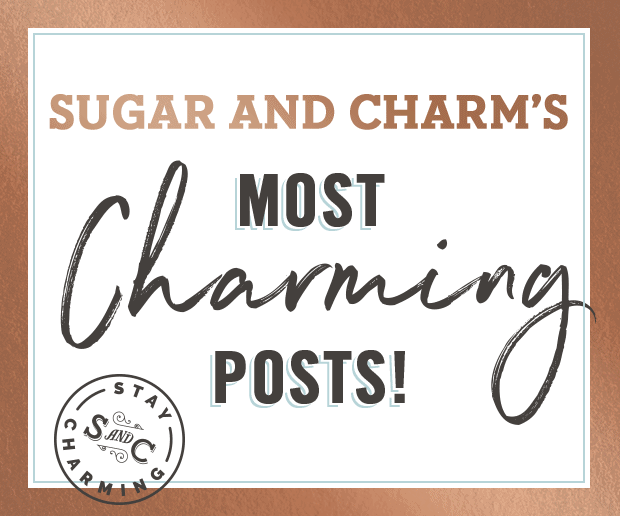 It’s an amazing blend and very easy to make! 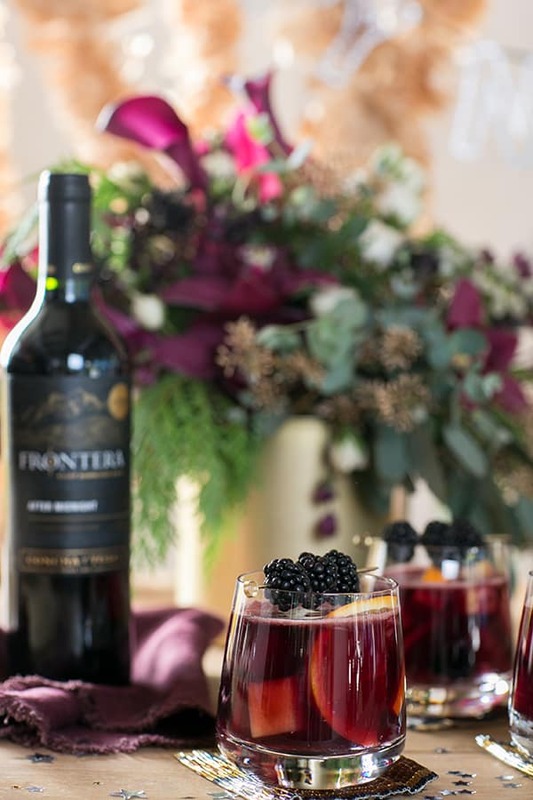 I placed extra fruits and garnishes out and also served Frontera’s Night Harvested Moonlight white blend. 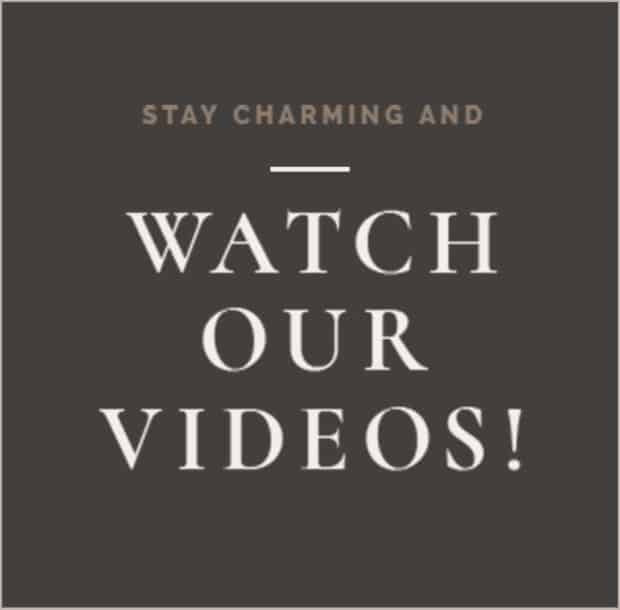 For the decor, we used this tutorial and made a gorgeous, gold fringe garland which turned out awesome! 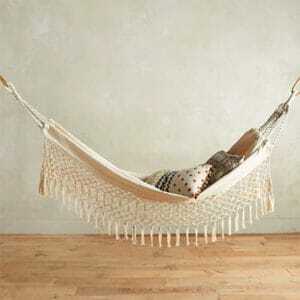 I absolutely love the look of it and how it drapes down. We hung this Happy New Year sign and placed gorgeous flowers on the bar. All very simple, but created a beautiful New Years Eve setting! 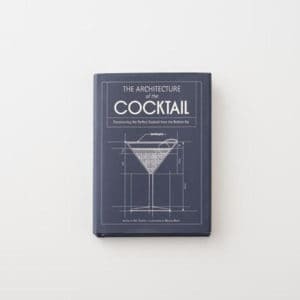 Cheers to 2017! Thanks Jessica!! 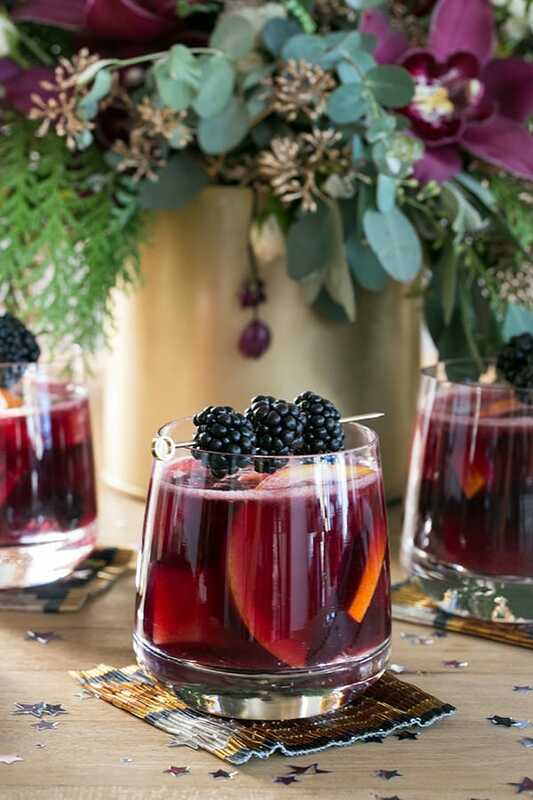 Sangria is always such a good choice for entertaining right?! It’s so easy to make!! 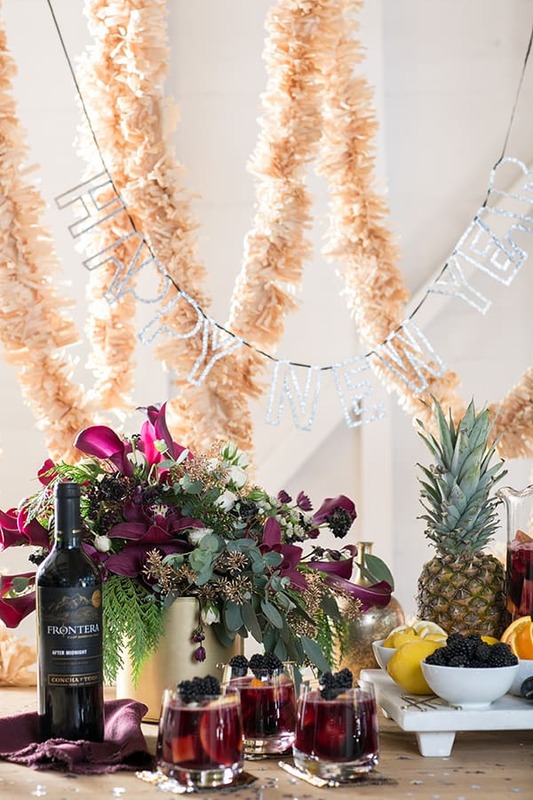 Love this idea for a NYE party! 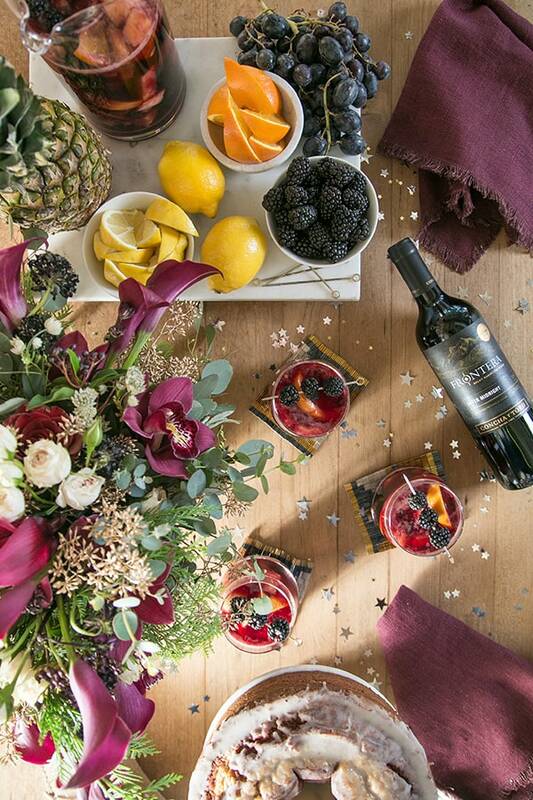 The garland and floral arrangement make a gorgeous backdrop for the sangria bar, and that drink looks delicious! Thank you so much Allison!! 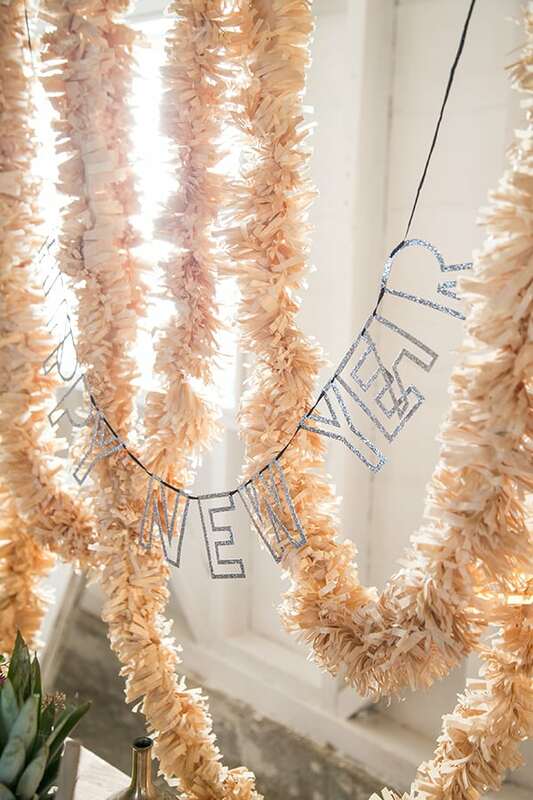 I LOVE that garland!! It turned out SO great!